When charged with a crime in Camden County, New Jersey, your life is immediately and inevitably changed. Your reputation is hanging in the balance, your character is called into question, your future is jeopardized, and you are faced with one of the most important decisions of your life: who will you call upon the defend you? Police, prosecutors, and investigators probing into your life can feel invasive and the complexities of the legal process overwhelming. 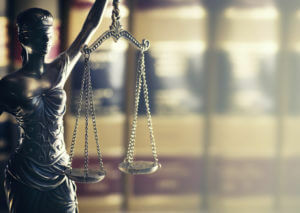 With an experienced criminal defense lawyer on your side, you can take back the power, launch an aggressive defense strategy, and effectively confront any of the challenges that arise along the way. Criminal defense attorney William Fay has been successfully defending clients charged with a vast array of criminal and DWI offenses for years. With extensive knowledge and experience as a former Deputy Attorney General for the New Jersey Attorney General’s Office, Mr. Fay uses his unique insight into prosecution tactics to benefit his clients arrested in Camden County and nearby areas. He utilizes deft negotiation and aggressive trial strategy to obtain the best possible outcomes for clients in Southern New Jersey. To discuss your case with Mr. Fay today, contact his offices at 609-832-3202 for a cost-free consultation. Depending on the specific crime for which you are accused, you may face penalties including significant fines, community service, restitution payments, time in the county jail or New Jersey State Prison, and charges on your criminal record. In New Jersey, criminal offenses are delineated among the following classifications: first degree, second degree, third degree, or fourth degree crimes. First degree crimes are considered the most egregious. A conviction for a first degree crime is punishable by a sentence to serve between 10 and 20 years in New Jersey State Prison, as well as a fine of up to $200,000. Examples of first degree crimes include: aggravated sexual assault, armed robbery, carjacking, kidnapping, manslaughter, and of course, homicide. Due to the severity of these offenses, they often entail extended sentencing guidelines, mandatory minimum sentences, and periods of parole ineligibility. Second degree crimes are the second-most serious crimes in New Jersey, and are punishable by a New Jersey State Prison sentence ranging from 5 to 10 years, as well as a maximum fine of $150,000. Second degree crimes entail a presumption of incarceration, which means that even first-time offenders are required to serve time in prison if convicted. Examples of second degree crimes include: aggravated assault, certain drug distribution offenses, sexual assault, and unlawful possession of a firearm. In cases involving firearms, second degree charges are often accompanied by a mandatory minimum term of imprisonment and period of parole ineligibility, which is outlined in New Jersey’s Grave’s Act. Third degree degree crimes are unique, in that they entail a presumption of non-incarceration for first-time offenders. Although these crimes are typically punishable by a New Jersey State Prison sentence ranging from 3 to 5 years and a fine of up to $15,000, first-time offenders charged with third degree crimes may be considered eligible candidates for probation or diversionary programs such as Pre-Trial Intervention (PTI). Examples of third degree crimes include: possession of heroin and cocaine, burglary, and certain theft offenses. Fourth degree crimes are the least serious of the indictable felonies in New Jersey. These cases are still adjudicated at the Superior Court in the county in which the alleged offense occurred and may result in severe penalties. A fourth degree crime is punishable by a maximum sentence of 18 months in New Jersey State Prison and a fine of up to $10,000. Examples of fourth degree crimes include: forgery, harassment, criminal sexual contact, and resisting arrest. When presented with your case, Mr. Fay will listen to fully understand your specific circumstances. In order to compile any and all potential evidence that may support your case, he uses his experience investigating for the Attorney General Office in New Jersey. Although police may be working against you, Mr. Fay utilizes the expertise of a former prosecutor and investigator to level the playing field and construct the most compelling defenses for his clients. Call today to receive a free consultation and learn more about your available legal options.